Dust off your handbooks and rethink your employment policies – the EEOC has just announced some significant changes in how it is going to investigate and litigate pregnancy discrimination claims. In its first comprehensive pregnancy guidance update in thirty years, the EEOC issued new pregnancy discrimination guidance in mid-July. The updated guidance is effective immediately, superseding the prior guidance and addressing the application of many laws passed since 1983 - including the 1990 Americans with Disabilities Act (ADA) and the 1993 Family Medical Leave Act (FMLA) - to pregnancies. Light duty – The new guidance sets forth the EEOC’s position that, not only must employers not discriminate based on pregnancy; they must grant reasonable accommodations for pregnancy if those accommodations are granted to non-pregnant employees. As such, if an employer provides light duty work to non-pregnant employees, such as for worker’s compensation injuries, it should offer this to pregnant employees to avoid discriminating on the basis of pregnancy. The EEOC’s position on this point is highly controversial. Accommodation Examples – EEOC examples of reasonable pregnancy accommodations include redistributing nonessential job duties, modifying workplace policies to allow for frequent breaks or water bottles, modifying a work schedule, allowing telecommuting, and purchasing or modifying equipment. Lifting restrictions – Lifting restrictions are also listed as an example of a reasonable accommodation that must be granted to a pregnant employee even if she is not deemed “disabled” under the ADA. Discrimination – Employers cannot fire, refuse to hire, demote or take any other adverse employment action based on an employee’s pregnancy, childbirth or related medical condition, even if the employer believes it is acting in the employee’s best interest due to dangerous work conditions (at a lead mine, for example). More than just Bed Rest – Many pregnancy-related conditions may be considered impairments that are “disabilities” under the ADA, including depression, nausea, sciatica, painful swelling, walking limitations, carpel tunnel syndrome, anemia, and gestational diabetes. Contraceptives – With some minimal exceptions, an employer health insurance plan must cover prescription contraceptives on the same basis that it covers other prescription medications. This position is, however, likely to be limited by the recent Supreme Court decision in Burwell v. Hobby Lobby Stores. 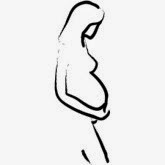 “Pregnancy” Discrimination – The prohibition on pregnancy discrimination applies to more than just those individuals with pregnancy-related complications and includes a prohibition on discrimination based on a past pregnancy (i.e. during pregnancy-related medical or parental leave), an employee’s potential or intention to get pregnant, infertility treatments, the use of contraception or abortion, and lactation. Who gets leave? – Leaves related to pregnancy or childbirth can be limited to women, but parental leave must be provided equally to both women and men to avoid gender discrimination. Note that, in Minnesota and some other states, this is already required under state law. The EEOC’s new pregnancy guidance has been controversial, even drawing public objections by two EEOC Commissioners. The guidance is not binding on courts, and some courts have previously come to different conclusions about many of the issues addressed in the guidance. Nevertheless, employers should expect that some courts will likely view this guidance as persuasive and may follow it. Additionally, the EEOC will be using this guidance to inform its investigations of charges alleging pregnancy-related discrimination. Therefore, employers should familiarize themselves with the EEOC guidance and recommended best practices, and they should consider whether their policies and handbooks meet the new EEOC guidance. Employers should also stay tuned. The U.S. Supreme Court recently agreed to hear a case involving whether an employer must provide similar work accommodations to non-pregnant and pregnant employees. The Court’s upcoming decision in Young v. United Parcel Service could, depending on what it says, upturn this area of the law and impact aspects of the EEOC’s guidance.